Ohio boasts a lot of safety-related firsts. The state established the first ambulance service and the first professional municipal fire department in Cincinnati, and even America’s first traffic light in Cleveland. It also hosts the first city, Akron, to use police cars. With such a proactive history, it only makes sense that the state’s residents would look for the best financial advisors in Cincinnati. Money equals security. This means that making sure it’s being used productively and managed responsibly is of the utmost importance. Whether you earn your money putting out fires or making traffic lights, a Cincinnati wealth management firm can help manage your money right. Of course, making money takes time. You may not have enough hours in the day to look up the best financial advisors in Cincinnati. AdvisoryHQ has rounded up several of the top wealth management firms in Cincinnati and reviewed some of their best features. Save the googling and start your search with our list of the best wealth management firms in Cincinnati. When it comes to choosing the best Cincinnati financial planner, there are plenty of firms to choose from. With so many options to consider, how can you narrow the search? First, take a close look at what each financial advisor in Cincinnati has to offer, and match those services up with your own personal financial goals. As you will see in the following reviews for financial advisors in Cincinnati, each Cincinnati financial planner specializes in varying areas of financial planning and wealth management. If your needs are of a broader nature and you wish to have peace of mind through simple yet comprehensive financial planning, you may be well-suited with a Cincinnati financial planner that offers a broader range of services. Once you’ve narrowed down your choices to a select few of these top-ranking Cincinnati wealth management firms, see if any of your selected advisors offers an introductory consultation session. 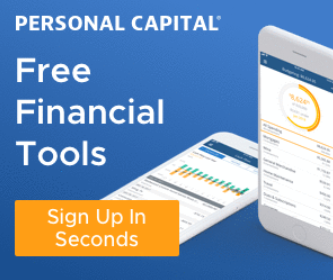 Whether it’s a free or paid consultation, this can be a good way to “feel out” a prospective financial advisor in Cincinnati before committing to their services. 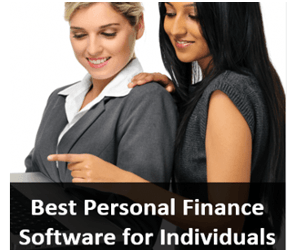 What methodology does AdvisoryHQ use in selecting and finalizing the credit cards, financial products, wealth management firms, services and products that are ranked on its various top-rated lists? 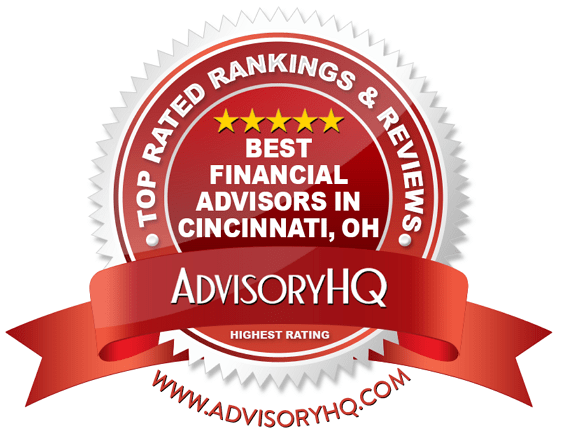 Below, please find the detailed review of each firm on our list of the best financial advisors in Cincinnati. We have highlighted some of the factors that allowed these wealth management firms in Cincinnati to score so high in our selection ranking. Founded in 1898, Bartlett Wealth Management boasts an impressively long history. Although Bartlett Wealth Management is a fee-based firm, we have chosen them as a top Cincinnati financial planner for their comprehensive approach and wide range of services. While financial planning is most commonly coupled with investment management services, it is also provided as an independent service. Bartlett Wealth Management will stand as your financial advocate, getting to know you and your objectives from the start. While maintaining focus on your financial objectives, your team of Cincinnati financial advisors will develop you create a diversified and balanced portfolio that will minimize risk and deliver consistent high-yielding returns. While the firm does use a fee-based structure, Bartlett Wealth Management is an independent firm that has adopted the fiduciary standard, laying a strong foundation of trust and transparency. Clients have plenty of benefits to gain from working with Bartlett Wealth Management, including a strong, team-based approach, in-house research analysts, and comprehensive financial services, making the firm one of the best Cincinnati financial advisors to consider partnering with this year. Founded in 1993, Berno Financial Management is an independent, fee-only financial advisor in Cincinnati. These Cincinnati financial planners serve clients with an annual income of at least $100,000 or pre-retirees and individuals in the early stages of retirement with an investible portfolio of $1,000,000 to $5,000,000. Berno Financial believes in broad diversification of your investment portfolio while effectively minimizing risk and taxes. The firm’s investment philosophy for wealth management in Cincinnati is founded on objective, academically-based models that have withstood the test of time. As an independent financial advisor, Berno Financial offers unbiased, trusted advice, focusing on your best interests by avoiding commission-based pressures. While the firm may be one of the smallest financial advisors in Cincinnati on our list, Berno Financial approaches every financial challenge as a team, allowing clients to leverage the benefits of multiple points of view and expertise. With a fee-only structure, a commitment to independence, and a wide range of financial capabilities, Berno Financial is one of the best Cincinnati financial advisors to consider partnering with this year. Foster & Motley Corporation is a fee-only Cincinnati financial advisor that offers comprehensive financial planning and investment management services to clients in the Tri-State region and across the country. A good financial plan will encompass and integrate all components of your financial life, which is something that the team at Foster & Motley has an expert eye for. All of this starts with an initial meeting where your advisor gets to know you, your current situation, and where you want to be in the future. Initial consultations with these Cincinnati financial planners are always free. The financial industry is a very dynamic industry. Factors that are legal and political, domestic and international can have an impact on an individual’s financial planning and investment strategy. As a result, it is important for one’s wealth management firm in Cincinnati to foster a culture of continuing education and learning. As one of the top Cincinnati financial planners, Foster & Motley does just that. Not only do they regularly review their processes to check that they are up to date, but they encourage their employees to keep themselves updated as well. They invest in the education of their employees and require all of them to have completed (or be in the process of completing) a professional certification. As a fee-only RIA, Foster & Motley is held to a fiduciary standard and is legally required to put clients’ interests before the interests of the firm. 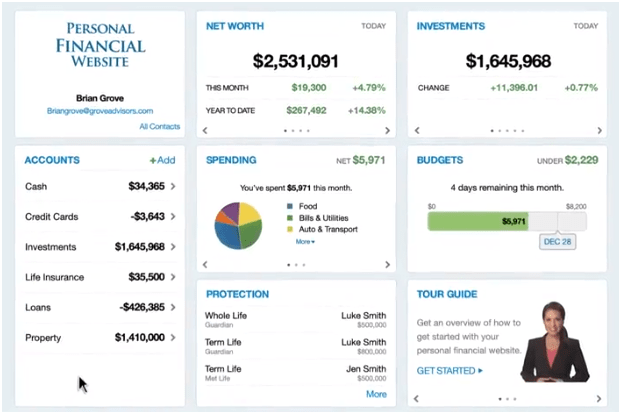 Not only does this encourage transparency, but it also supports trust between clients and advisors, an integral element in any successful financial plan. With comprehensive financial services, a fee-only structure, and a client-centric approach, Foster & Motley is one of the best Cincinnati financial advisors to consider partnering with this year. Having served the needs of clients for nearly 30 years, Hengehold Capital Management, LLC is a fee-only Cincinnati financial advisor that offers investment and financial planning services, retirement planning, and a host of plans and resources for Proctor & Gamble retirees. The firm maintains two Cincinnati locations; one in the Western Hills area, and another in the Blue Ash area. 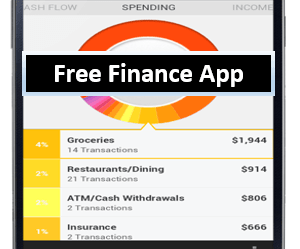 Financial independence doesn’t just happen. It takes careful planning, commitment, and a great team of Cincinnati financial advisors to guide you. As a multi-generational wealth management firm located in the heart of Cincinnati, Hengehold Capital has helped many Procter & Gamble families transition into retirement. They know how hard you’ve worked, and they want to help you get it right the first time. With decades of experience working with some of the region’s largest employers, Hengehold Capital provides pre- and current retirees with the proven expertise to handle their unique retirement needs. Additionally, as a fee-only Cincinnati financial planner with a fiduciary commitment, clients can trust that all financial advice is both transparent and without bias, solidifying Hengehold Capital as a top financial advisor in Cincinnati. With locations in Cincinnati, Columbus, Cleveland and Dayton, Johnson Investment Counsel, Inc. is Ohio’s largest independent investment advisory firm. As a fee-only Cincinnati financial planner, Johnson Investment offers integrated wealth management services to individuals, corporations, retirement plans, foundations, and endowments. Along with these core investment principles, the firm provides a strong value proposition to their clients through maintaining high integrity, independence, transparency, and experience. Notably, Portfolio Managers at Johnson Investment Counsel average over two decades of experience and over 15 years with the firm, speaking highly to both the expertise of the firm and their company culture. As a fee-only firm with a fiduciary commitment, Johnson Investment Counsel, Inc. provides the ideal wealth management partnership. All advice is both transparent and without bias, establishing a solid foundation of trust within the client-advisor relationship. 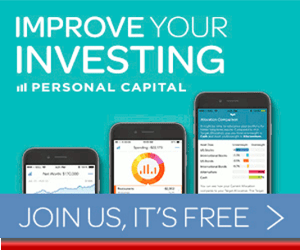 Uniquely, Johnson Investment Counsel also excels at providing comprehensive levels of service for clients that want to invest varying monetary amounts, making financial services both accessible and customizable for clients from all walks of life. With a client-centric philosophy and a wide range of services to choose from, Johnson Investment Counsel is one of the best Cincinnati wealth management firms to consider partnering with this year. Founded in 2000, Madison Wealth Management is fee-only financial advisor in Cincinnati. The firm also maintains office locations in Leesburg, Virginia, and Bethesda, Maryland. 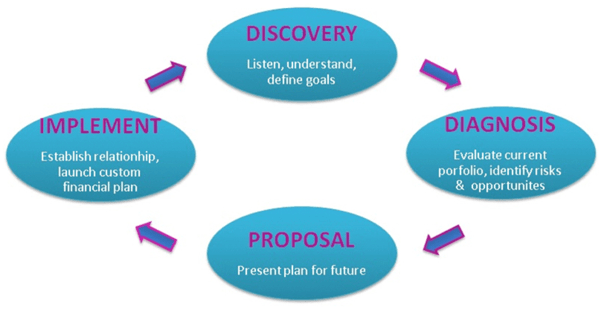 Discovery: This step involves careful analysis of your financial situation, your dreams, your priorities—everything that affects the way you see your finances. Diagnosis: Your current portfolio will be evaluated, and your advisor will ask you key questions to determine what’s going on with your finances right now. Proposal: Your Cincinnati financial advisor will create a customized plan of action. Implement: Once all parties are satisfied with the plan, your plan is put into action. As an independent Registered Investment Advisor (RIA), Madison Wealth stands strong with a fiduciary commitment to you. This Cincinnati wealth management firm doesn’t receive commissions for selling products or services, and they always act in your best interest. With a fee-only commitment and a strong set of client-centric principles, Madison Wealth Management is one of the best financial advisors in Cincinnati to consider partnering with this year. Headquartered in Cincinnati, Ohio, OJM Group, LLC is a financial firm with over 1,000 clients in 47 states. 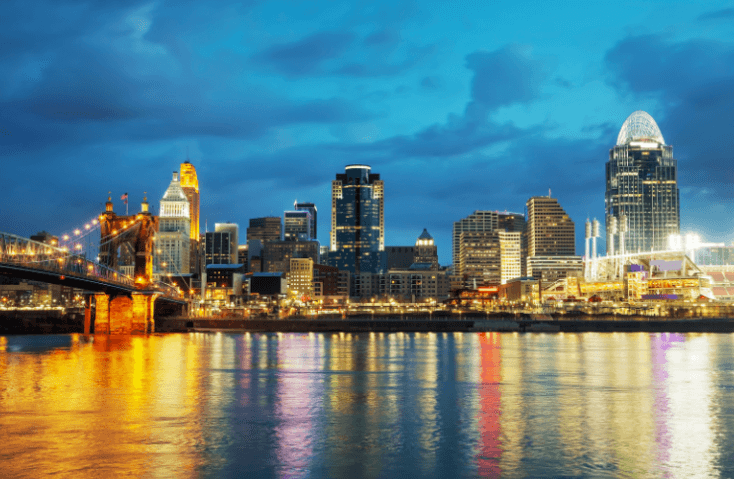 These Cincinnati financial advisors offer a variety of wealth management and consulting services to doctors, business owners, and independent advisors. OJM Group does not state whether they are a fee-based or fee-only firm. As always, we recommend verifying fee structure before partnering with any financial advisor in Cincinnati. Doctors have to consider a unique set of circumstances when planning their financial futures. OJM Group has been recognized as one of the 150 Best Financial Advisors for Doctors by Medical Economics for nine separate years. As a leading financial authority for medical professionals, OJM Group has also written more than 10 books for doctors, and has published more than 100 articles in leading journals and periodicals. As a business owner, you realize taxes and financial overhead, along with a shaky economy, pose many risks to your security. Fortunately, these Cincinnati financial advisors know just how to mitigate that risk to preserve both your wealth and your business. Not only is the team at OJM Group highly experienced in helping business owners navigate treacherous terrain, but they are business owners themselves, adding to the firm’s personal expertise. With specialties in assisting doctors and business owners, OJM Group is a valuable resource for clients that want their Cincinnati financial advisor to understand the unique challenges faced by combining career and personal financial planning. However, because we cannot verify the firm’s fee structure, OJM Group ultimately earns a 3-star rating, as this can make it challenging for potential clients to fully evaluate the firm. By clearly stating whether they use a fee-based or fee-only fee structure, OJM Group could easily improve both their value proposition to clients and their rating as a top financial advisor in Cincinnati. Simplicity. Serenity. Freedom. Those are the three things Ritter Daniher Financial Advisory, LLC wants you to have. Through their comprehensive, fee-only wealth management services, they aim to educate, motivate, and support their clients. Streamlining wealth management services is proven and effective and allows you to reach your goals seamlessly. With five Cincinnati financial advisors bringing a combined total of 90 years of experience, you are in good hands with Ritter Financial. As a Registered Investment Advisor (RIA), Ritter Financial acts as a fiduciary to their clients, always serving with utmost independence, uncompromised dedication, and trust. While Ritter Financial boasts an experienced team and a diverse range of financial planning services, the firm provides sparse information about their investment management approach. For clients that want a Cincinnati financial advisor to provide expert portfolio management, this lack of information makes it challenging to fully evaluate the firm. By making detailed information on their investment philosophy and portfolio management process readily available, Ritter Financial can easily improve both their value proposition to clients and their rating as a top financial advisor in Cincinnati. RiverPoint Capital Management is an independent investment advisory firm with offices in Cincinnati, Ohio, and Indianapolis, Indiana. They stand as a fee-only Registered Investment Advisor (RIA) and offer a variety of wealth management services to a variety of clients. Equity Investments: RiverPoint Capital favors companies who hold dominant roles within their industry. Bond Investments: These portfolios offer the opportunity to preserve capital and create a steady stream of income. Large Stock Position Management: The Cincinnati financial advisors at RiverPoint Capital have a great deal of experience managing large positions of low-cost stocks. Independent Investment Research: Conducting their own proprietary research allows RiverPoint Capital a leading edge on decision-making and market analysis. A person’s dreams for the future often span more than one generation. A detailed estate plan allows you to leave the exact legacy you want. Through the use of a comprehensive estate plan, RiverPoint Capital will create trusts, power of attorneys, and health care directives. How will you minimize estate taxes? How will you fund potential tax liability? Who do you trust to manage your affairs if you cannot? If you passed away, who would care for your children? Tax management is essential through all phases of estate planning and implementation, meaning that your Cincinnati financial advisor can ensure a tax-efficient process. As an independent, fee-only Cincinnati financial planner with a fiduciary commitment, RiverPoint Capital provides a lot of advantages for clients that value transparency and trust within the advisor-client relationship. However, when it comes to communicating details about specific services, RiverPoint Capital falls short when compared to competing top financial advisors in Cincinnati. For example, without specific services listed beneath Financial Planning—like budgeting, debt analysis, cash flow analysis, etc.—it’s difficult to determine how financial planning differs from basic investment management. Similarly, although the firm lists wealth management services specifically for women, there is no explanation as to what sets these services apart from traditional wealth management capabilities. By emphasizing the unique capabilities of their financial planning and wealth management for women services, RiverPoint Capital could easily improve both their value proposition to clients and their rating as a top firm offering wealth management in Cincinnati. Founded by Jeannette Jones in 1988, The Asset Advisory Group is a fee-only Cincinnati financial advisor that offers a wide range of services for a range of clients, no matter what stage of the wealth accumulation process they are in. For many clients, finding the best financial advisor in Cincinnati often means finding a firm that can address multiple financial needs at once. As a fee-only firm with a fiduciary commitment, The Asset Advisory Group provides clients with transparent fees and open communication, two key elements in any successful financial planning relationship. For new clients, the firm also provides two complimentary, no-obligation meetings to discuss financial needs and evaluate whether the relationship is a good fit. With an innovative financial dashboard, an experienced, personable team, and a wide range of services, The Asset Advisory Group is one of the best Cincinnati financial advisors to consider partnering with this year. For over 25 years, Total Wealth Planning has been serving clients throughout the country as an independent, fee-only financial advisor in Cincinnati. Clients come from a variety of backgrounds, including business owners, corporate executives, wealth-building families, and retirees. Total Wealth’s investment philosophies are based upon Nobel Prize-winning academics. This Cincinnati wealth management firm provides investment opportunities in 15-20 different asset classes, all with relative correlation to each other. In addition to managing risk, creating wealth through opportunistic profit taking, tax loss harvesting, and rebalancing are integral parts of managing your investments. Globally-arrayed, institutional quality mutual funds and EFTs (exchange-traded funds) are beneficial additions to your portfolio and will be discussed during the planning process. As a fee-only Cincinnati wealth management firm, Total Wealth Planning has believed that advice should be given with the client in mind, not propelled by commission-based incentives. As a result, clients can trust that their Cincinnati financial planner will uphold the highest standards of transparency, instilling trust and supporting long-term relationships. 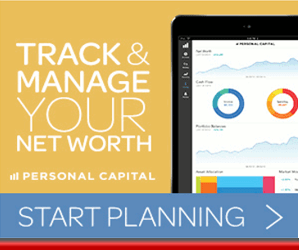 With a solid range of financial planning services and a client-centric commitment, Total Wealth Planning is one of the best financial advisors in Cincinnati to consider partnering with this year. Garnering a better understanding of the inner workings of a wealth manager or financial advisor in Cincinnati firm will instill confidence and make you feel more at ease with your decision-making process. You’ve worked hard to get to where you are. Now, you simply have to take an objective approach and decide what specific services you need from a Cincinnati wealth management firm. Are you heading into retirement? 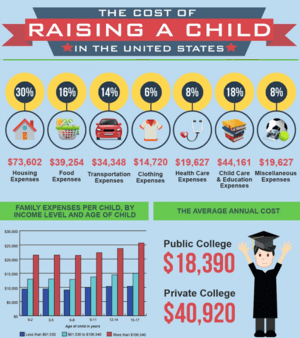 Is your family counting on you to safeguard their future? Perhaps you’ve come into a recent inheritance and need help in making sound financial decisions? Whatever the case may be, one of the best things you can do is make a list of what it is that you want and use that list to align yourself with a Cincinnati financial advisor that offers the same services. Once you’ve narrowed down our list of the top financial advisors in Cincinnati, Ohio, your next step is to see if they offer a free consultation by phone or in person. This is a great way to start a working relationship and get answers to your questions related to your specific financial situation. The process may seem intimidating, and you may not find the perfect advisor right away, but with knowledge on your side, rest assured that there’s a Cincinnati financial advisor out there for you.